Sometimes making Star Wars merchandise that will appeal to everyone in its enormous fanbase is like shooting fish in a barrel. But come on, this mould that lets you make ice pop lightsabers that actually light up is a stroke of genius. 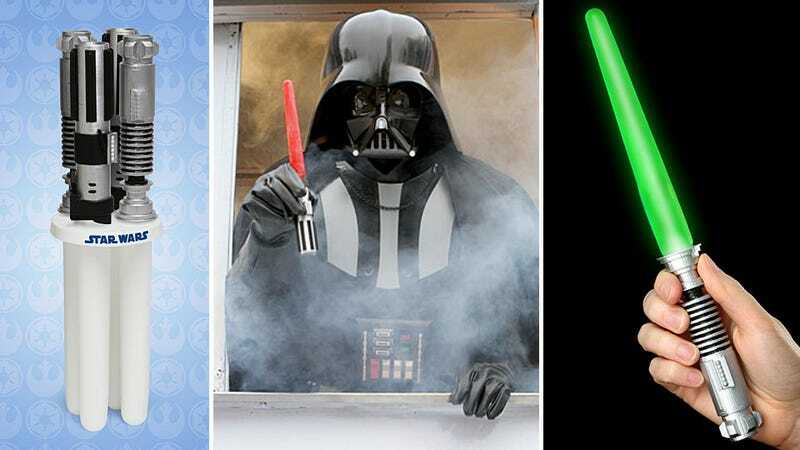 The mould comes with four hilts in total—two of Darth Vader's lightsaber and two of Luke Skywalker's—and a couple of AAA batteries is all that's needed to light them up once the sugary blade is frozen. At $35 they are a bit on the pricey side, but Lucasfilm probably knows these will be hard to resist. At any rate they won't be available until November at the earliest, so it makes them perfect Christmas gift fodder.